The Oakwood Vaughan neighbourhood is a remarkable neighborhood full of promise. However, it also continues to be an under-served and under-resourced neighbourhood. There is a lack of City programs and community spaces to address the needs of the community. Vaughan Road Academy, located at 529 Vaughan Road, is a public high school under the jurisdiction of the Toronto District School Board. While no longer an operating school, the Toronto District School Board voted in February 2017 to retain the building as a core holding, and put it to use for purposes still to-be-negotiated. Currently, the school is being used as an overflow school to accommodate students from other schools that are under construction, such as Davisville. A community based resident organization, Oakwood Vaughan Neighbourhood Action Partnership (OVNAP), has been engaged in discussions to convert the Vaughan Road Academy property into a community hub where, while still under ownership of the Toronto District School Board, the building would house a number of diverse programs and community services accessible to the public. Parks, Forestry and Recreation offers swimming lessons and basketball programs at Vaughan Road Academy and the Learning Enrichment Foundation operates a child care centre on the site. During this week’s City Council meeting, I moved a motion that was unanimously adopted to work with the appropriate City Divisions and Agencies, Toronto District School Board representatives, Oakwood Vaughan Neighbourhood Action Partnership, and other appropriate community groups to identify opportunities for creating a vibrant and safe neighborhood supported by a community hub at the Vaughan Road Academy that could help meet the needs of local residents. A community hub at Vaughan Road Academy would help address the need for programming and space in this community and would align with the City’s Oakwood Vaughan Strategic Plan. The Plan, adopted by the Community Development and Recreation Committee in May 2015, addresses neighbourhood issues of high unemployment, petty crime and lack of economic development. In too many neighbourhoods, the City reacts to developments rather than setting the narrative of how we want Toronto to grow. Condo applications considered on an ad hoc basis have played a greater role in shaping neighborhoods than the public for too many years. That’s why I initiated the Midtown in Focus Plan for the Yonge and Eglinton area to ensure that we have a strategy to ensure that access to transit, recreation, schools, parks, open space and so much more can finally catch up with years of unbridled development due to industry-friendly provincial policy. As the new Councillor for the St. Clair and Bathurst area, I recently moved a motion requesting City Planning Staff to undertake a detailed review of a community facing development pressure. I believe it’s critical to have a thoughtful and defendable plan in place as soon as possible as developers seek to transform this part of midtown Toronto. I want this community to be planned with residents’ quality of life always being the focus. NEW: The City of Toronto’s School Crossing Guard ProgramUntil recently, school crossing guards were under the purview of the Toronto Police. It has now been transferred to the City of Toronto. The school crossing guard program provides a deeply important service for Toronto’s families- the safety of our kids. • Download the Fillable Form and submit to schoocrossingguard@toronto.ca. Fall data collection months (October and November) and spring data collection months (April and May) are the best time to gather accurate information to determine whether a new school crossing guard is required at a requested location. Once the data has been collected, it will be analyzed and a recommendation will be provided. Cedarvale Marketplace DayJoin Cedarvale Community School for a memorable shopping and food experience at the annual Cedarvale Marketplace Day on Saturday April 13th from 10:00-4:00! There will be professional vendors with an array of sensational items available in time for Mother’s Day. Come and shop for beautiful art, giftware, jewelry, apparel, accessories, children’s items, and so much more. Savour lunch at one of our gourmet food trucks. Buy a gift for a friend, something for yourself, and enjoy this amazing local shopping experience. A raffle with incredible prizes and a whole lot more. Location: Cedarvale Community School, 145 Ava Road, Toronto. 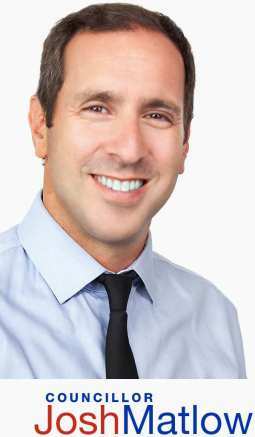 SAVE THE DATE: Friends of Cedarvale’s Clean-Up Day with Councillor MatlowI’m thrilled to invite you to my clean-up day with the Friends of Cedarvale on Saturday April 27th! To kick-off this event, we’ll be meeting at 10:30am under the Glen Cedar footbridge. Garbage bags and gloves will be provided, along with drinks and cookies. I look forward to seeing you soon! SAVE THE DATE: St. Cuthbert’s Spring FairOn Saturday, April 27 from 11 am to 2 pm, St. Cuthbert’s Anglican Church (located at 1399 Bayview Avenue) is having their annual spring fair featuring an art gallery, baking, books and soups, crafts, electrical, jewellery, kitchenware, knitting, odds & ends, quilting, sewing, stamps, toys, and other treasures! The event will also include a barbecue, snacks and free activities for children. For more details, view their flyer here. Councillor Matlow’s Compost Days Looking for free compost? Join me and my team at one of my Compost Days! Please see the details below for dates, times and locations. Remember to bring your own shovel, buckets and bags! We look forward to seeing you! The installation of these routes would result in some impacts to on-street parking on Vaughan Road and Northcliffe Boulevard. Some curb extensions on Northcliffe Boulevard would also be removed or modified. The event is taking place Tuesday, April 23rd from 6:30 pm to 8:30 pm at the Oakwood Village Library and Arts Centre. For those unable to attend the event, more information will beavailable on the project website and comments will be accepted online until May 7. Learn more click here. SAVE THE DATE: Councillor Josh Matlow’s Community Environment DaysOn Thursday, June 6th from 4:00pm-8:00pm, I will be hosting my annual Community Environment Day in collaboration with Councillor Mike Colle in the parking lot of North Toronto Memorial Arena (174 Orchard View Blvd). In addition, on Sunday, June 23rd, from 10:00-2:00pm, I will be hosting my second Community Environment Day at Wychwood Barns. Please drop off any unwanted art supplies, books, toys, and used sports equipment. Facilities will be available to dispose of computers and other hazardous household waste, or even replace your damaged green bin. Cedervale Community Garden MeetingJoin our friends from the Cedervale Community Garden for their upcoming “Season Start-up meeting.” The garden, located in Cedervale Park, is entering their third season growing vegetables, fruit and herbs in the garden. Stop by to learn about membership opportunities and to hear more about growing healthy, local food in our community. If you have any questions or are unable to attend the meeting, please contactcedarvalegarden@gmail.com or visit the garden’s Facebook page. Clean Toronto Together Registration is Now OpenIt’s time for some spring cleaning! Gather your friends, neighbours, co-workers and classmates to clean a park, laneway or any other space that needs your help. Friday, April 26 is the Corporate & School 20-Minute Makeover; Saturday, April 27 and Sunday, April 28 are the Community Cleanup Days. Registration is now open. Individuals, community groups, schools and businesses can register their cleanup events online or by calling 311. Registration helps the City arrange for special litter and recycling pickups and helps to reduce duplicate cleanups. Learn more and find out when and where to get free GLAD® garbage and recycling bags for your cleanup online or by calling 311. Participants are asked to register for their cleanups at http://www.livegreentoronto.ca. Registration helps the City to arrange special litter pickups, avoid duplicate cleanups and measure results. The deadline to register for either or both of the two Community Cleanup Days is April 17. If you are planning to hold a community clean-up, please let me know and I’d be happy to drop by and help out! Retail Main Streets Study:The City of Toronto has launched a study on the current state of Toronto’s retail main streets and are inviting the Toronto business community and residents to share their views on the issues and challenges facing independent street-level businesses in the city. This will give the City a deeper insight into future potential policies and programs that will best support these businesses. The first phase of the study consists of an online Resident Survey and Business Survey to understand both resident shopping habits and the challenges facing main street businesses. The survey links will be live from April 4th to May 20th. The results of the study will be presented to the Economic and Community Development Committee in early 2020. 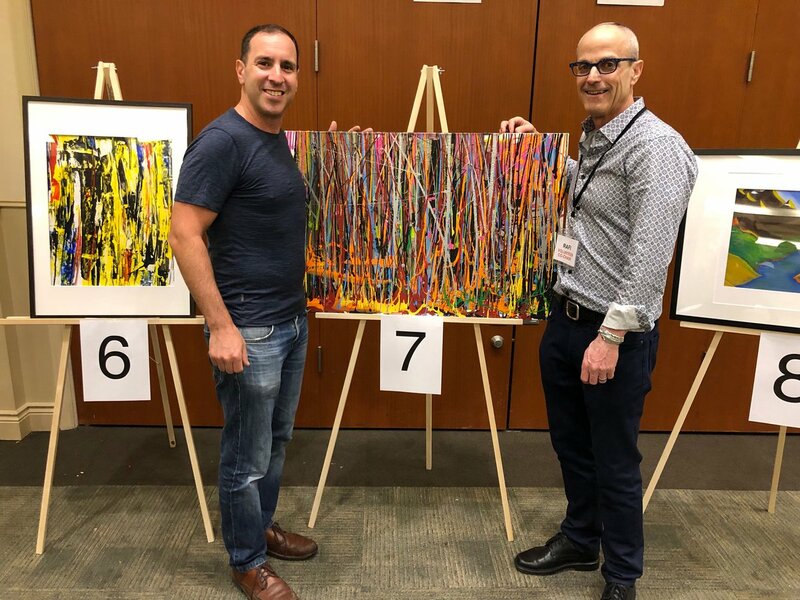 Out of the Cold Art Showcase &Sale at Beth ShalomThis past weekend, I had the pleasure of visiting the Out of the Cold Art Showcase at Beth Shalom. This was amazing for so many reasons- supporting shelter clients, showcasing their talent & engaging the community. I’m so grateful to the organizers and every volunteer! Stop’s Green Barn (Barn 4) every Saturday. I look forward to seeing you then! Have your say: HousingTO 2020-2030 Action Plan The City of Toronto of Toronto is developing a new long-term strategic plan to address housing issues in the city for the next decade. Opportunities to share your ideas and feedback about improving housing will be provided at four different consultation meetings across the City. All meetings take place from 5:30 p.m. to 8:30 p.m.
City of Toronto’s Home Energy Loan ProgramThe City of Toronto’s Home Energy Loan Program (HELP) offers competitive fixed rate loans of up to $75,000 to homeowners interested in improving the energy and water efficiency of their homes. The funds can be used to upgrade your furnace and insulation, install high-efficiency water heaters, windows, doors, and even install solar panels on your roof! On average, HELP participants are saving $560 per year and using 25-30% less energy, while at the same time significantly improving household comfort. The City wanta to help people put away the space heaters and enjoy their home without having to worry about expensive heating bills or chilly drafts. Homeowners can decide which energy efficient renovations to complete and choose their own contractors. When the work is complete, homeowners can repay the loan over time in instalments on their property tax bill while enjoying the benefits of a newly renovated and more comfortable home. With repayment terms of 5, 10, or 15 years and fixed interest rates as low as 3.70% the program offers flexibility as well as security. The HELP team is also available to help homeowners in understanding the process, accessing certified energy assessments, utility rebates and incentives as well as information on related city programs. 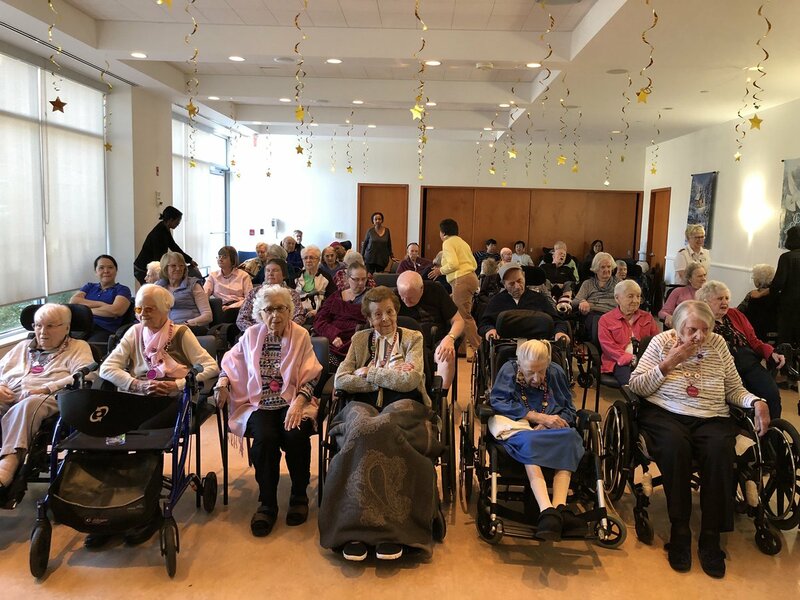 Isabel and Arthur Meighen Manor Celebrates 10 Centenarians!This month, I had the privilege to be at Isabel and Arthur Meighen Manor to celebrate ten centenarians. That’s right, ten! I’m grateful to be part of this milestone event for these special women. The City of Toronto invites applications for PollinateTO Community GrantsApplications open today for the City’s new PollinateTO Community Grants. Through the grants, the City will provide up to $5,000 to support community-led initiatives that result in the creation or expansion of pollinator habitat on public and private lands in Toronto. 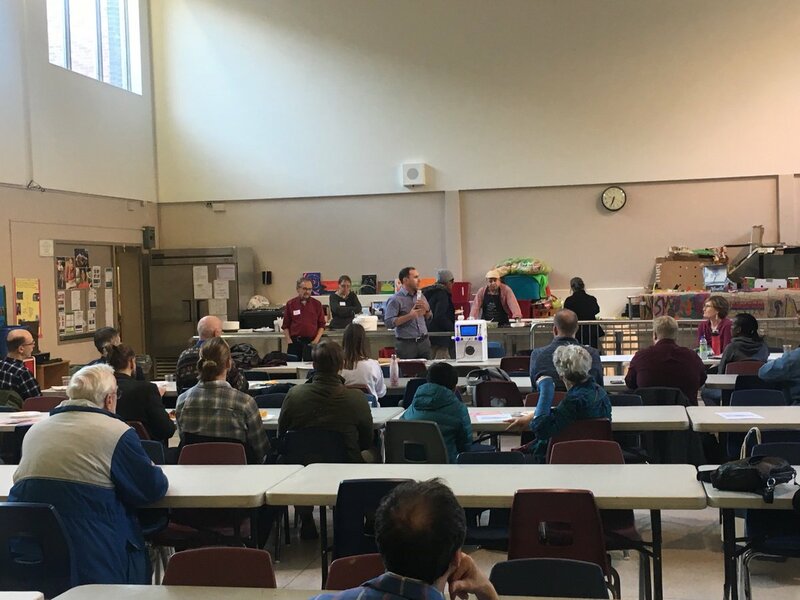 Oakwood Vaughan Community Organization’s (OVCO) AGM Last week, it was a great pleasure addressing the Oakwood Vaughan Community Organization’s AGM. I’m excited to work closely with them, and all neighborhood residents, on supporting a safe and vibrant community. 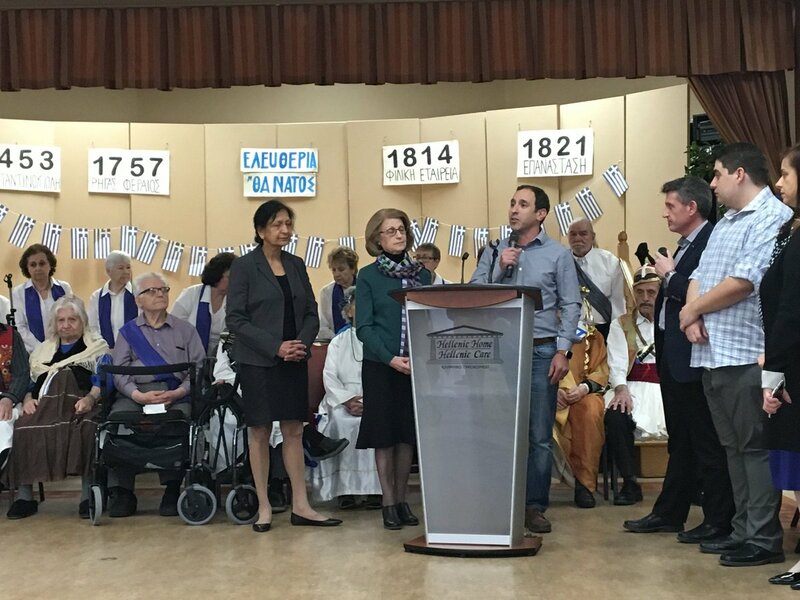 Celebrating Greek Independence Day at the Hellenic Home for the AgedThis month, I enjoyed celebrating Greek Independence Day at the Hellenic Home for the Aged with wonderful new friends and all the baklava one could dream of! I really loved this experience and the people there. The City of Toronto website is live and contains all the relevant information on the European Gypsy Moth Control Program. The website contains a 15 minute video presentation that provides detailed information about the control program and the various control methods that will be implemented, including the aerial/helicopter spray. An interactive map provides the treatments locations. The application allows users to determine whether a property is located within a spray zone by entering the address in the search bar. The 3-1-1 staff are available to take calls from the public. Residents can subscribe to the Gypsy Moth Aerial Spray E-Updates email subscription service to receive the latest updates regarding the European Gypsy Moth Control Program. Specific spray dates, postponements, cancellations as well as when the spraying operations have been completed a given spray block will be posted through this notification service. The City’s social media channels (Facebook and Twitter), will also have updated information posted. As required by the Ministry of Environment, Conservation and Parks, each resident located within or adjacent to a spray block will be receiving an information package regarding the European Gypsy Moth Control Program. The Public Notification of Pesticide Use letter will be delivered in the coming weeks via Canada Post. Residents are invited to attend Open House information sessions. The City of Toronto staff will be hosting 6 sessions in the areas planned for aerial treatment.Staff will be presenting information regarding the European Gypsy Moth Control Program and will address attendee’s questions or concerns. The nearest information session will be held in the gymnasium at the Bob Abate Community Centre (485 Montrose Ave) on Wednesday May 8th at 6 P.M. An additional session will also be held at Rosedale United Church (159 Roxborough Dr) on Wednesday April 30th at 6 P.M.
Inorganic Market – Drop off your electronic waste at Deer Park Library!On May 11 from 11:00 a.m. – 3:00 p.m., bring your e-waste to Deer Park library and keep hazardous electronic waste out of landfills! Bring your TVs, computers, phones, and other unused electronics for safe disposal. All the material collected at the event will be sent to a provincially certified processor based in Toronto for waste electronics. Deer Park Library is located at 40 St. Clair Avenue East. For more information, visit inorganicmarket.ca or contact the branch at 416-393-7657. Youth in Policing InitiativeThe Toronto Police Service and the Toronto Police Services Board in partnership with the Government of Ontario’s Ministry of Children, Community and Social Services is now accepting applications for the 2019 Youth in Policing Initiative Fall Program. Students between the ages of 15-18 will work 6 hours each week and will receive 7 hours of mandatory training one Saturday each month. The rate of pay will be $14/hour and the program will run from August 28, 2019 to December 21, 2019. Placements are all across the City of Toronto at various Toronto Police Service Divisions and two Specialized Units. Students can apply online at http://www.torontopolice.on.ca/yipi/ . The deadline to apply is April 25, 2019. For further details, please review this flyer here.